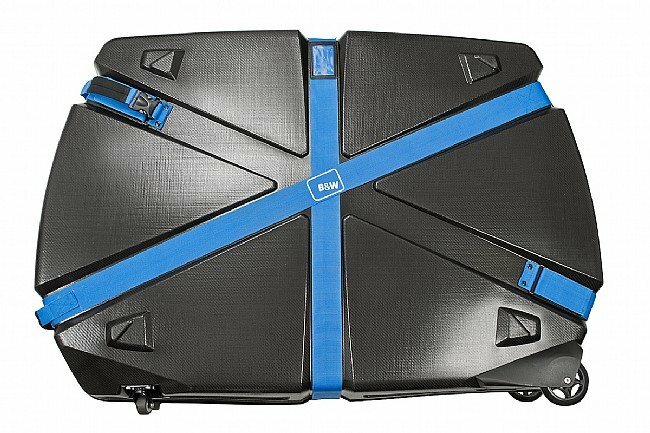 The B and W International Bike Guard Curv is the world's lightest full-sized hardshell case, weighing in at just 18 pounds. 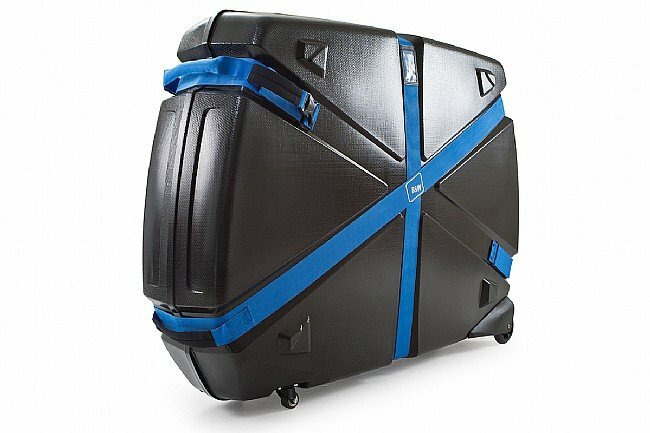 Constructed from self-reinforced Curv®-material, this case is 12x stronger than ABS plastic, highly impact resistant, abrasion resistant, tough and durable - even at low temperatures. 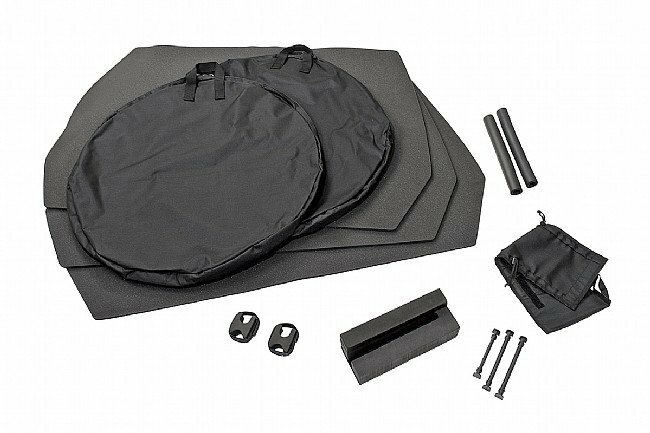 This 100% polypropylene (PP) case is environmentally friendly, weatherproof and recyclable, and up to 50% lighter compared to other fiber-reinforced composites or ABS plastic. 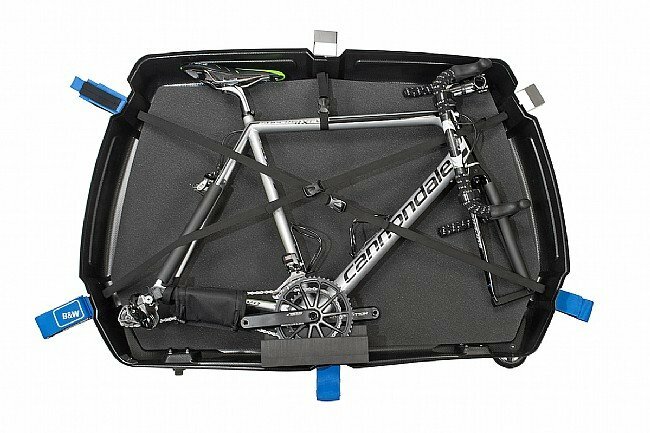 Inside, the case is easily mountable for any bike, from road bikes to tri bikes, cyclocross to full-suspension mountain bikes, and anything in between. 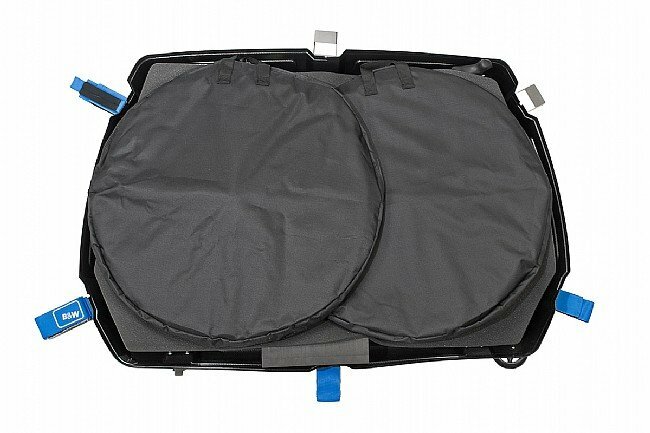 Inside, the case allows for integrated mounting of wheels up to 29" in diameter. 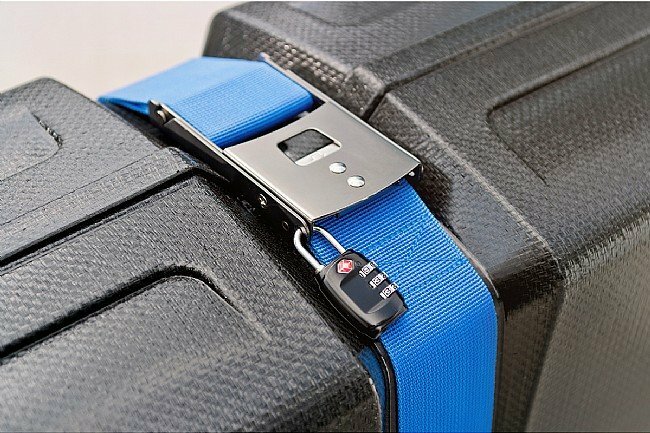 For easy travel, the Curv features four easy-rolling wheels (two fixed, two rotating), and four handles for easy navigation in tight or crowded areas. Internal Dimensions (length, width, height): 51.2 (42.1) x 33.1 x 11.2 inches. External Dimensions (length, width, height): 51.6 x 35.8 x 12.4 inches. Weight without packaging: 18.1 pounds.